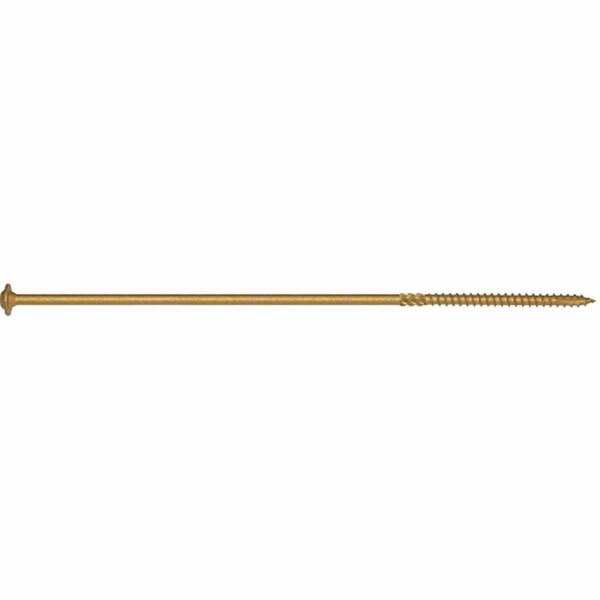 Our Construction Lag Screws are stronger and more durable than ordinary lag screws! The built-on round washer head gives a neat, finished appearance. Our triple dipped Bronze Star coating has shown over 1,200 hours of corrosion resistance in treated lumber and salt spray tests! Our lags provide virtually no end load, reducing worker fatigue by the ease of drive, deep sharp threads, no pre-drilling and more! Great for ledger boards, heavy timber construction, rigid foam insulation panels, post and beam and more!